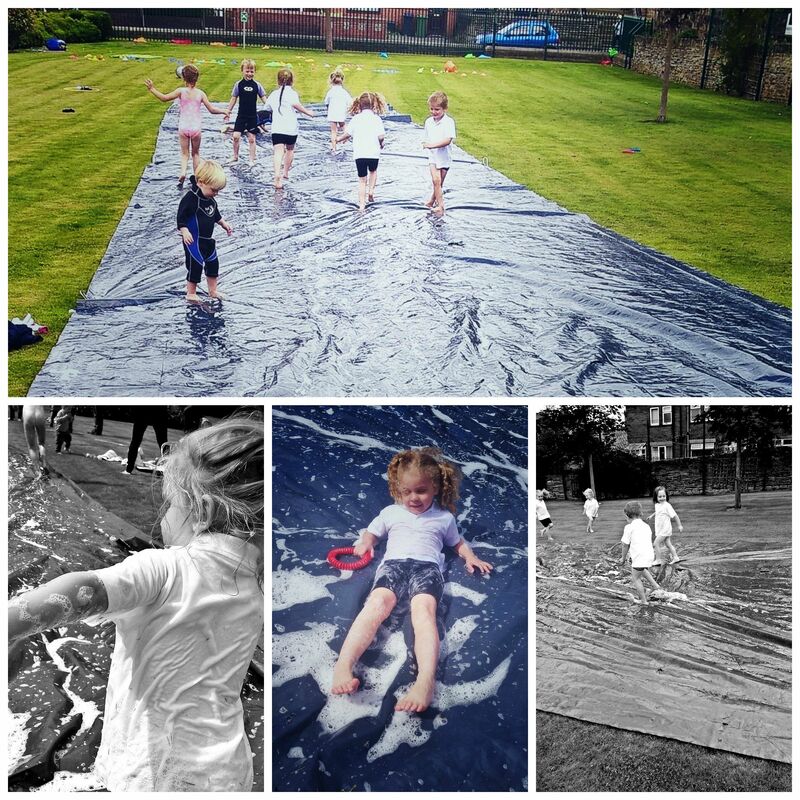 When you think of sports days you think of the last term of school and all that as a thing of the past, but last Thursday we had an absolutely brilliant day with friends hosting a Sports day at church for them, followed by a picnic lunch and a humongous piece of tar polling which became “the best water slide in the world”. Ethan of course wanted to invite his usual crowd (girls) and then his new big boy buddies too, anyone else was up to mummy and it was great (and a little mad) that everyone came. 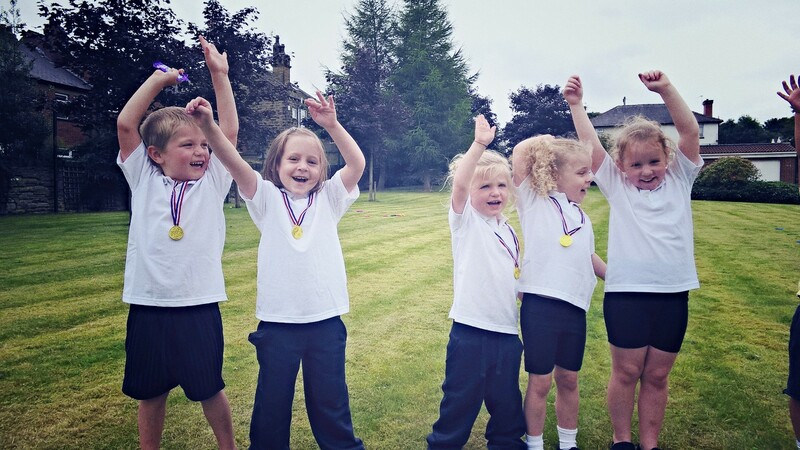 As I was in charge it became stressful at points and I wished I had gotten a whistle, but they all had a wonderful time, I learn’t a lot about kids and communication and realised that at age 3 Megsie is a sore loser! 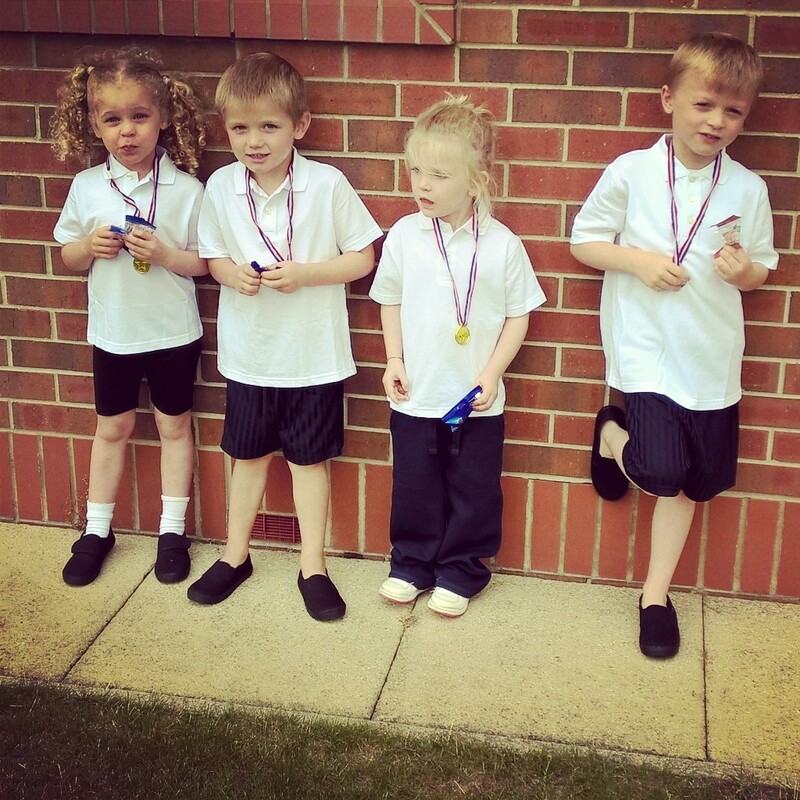 The kids have never been in or to a Sports day before, come to think of it I don’t really think they’ve played much sport generally other than their dance as neither are yet in full time school, and so the whole thing was such a novelty. As we quickly approach September though and a new chapter of all things school it seemed like a fab idea to not only pass the summer with friends but also get excited for School days and getting a glimpse of what’s in store. 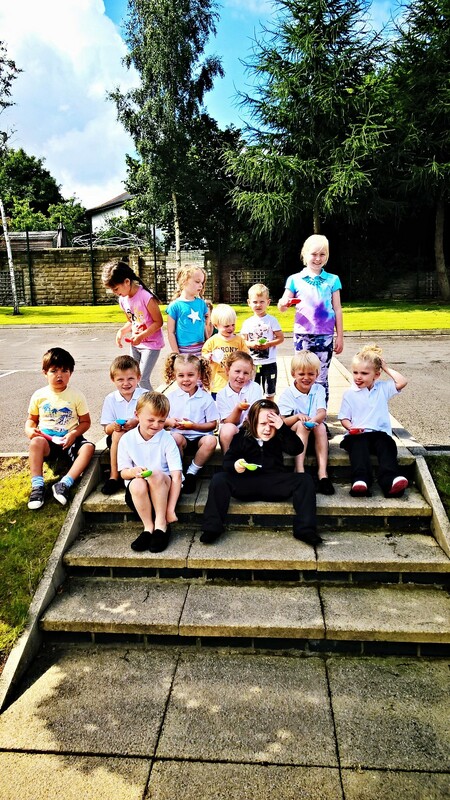 Ethan and some of his friends wore their new PE kits to “practice” wearing them and our older friends that knew the score with sports days were more vocally competitive, which really added to the fun of it all. Not to be left out and knowing she would keep up Megs also had her own little PE kit too, and seeing them all, so recently little tots competing and head to toe in kit was really quite emotional, but of course only for the parents and none of them – apparently in their eyes it was the best thing…EVER!!! 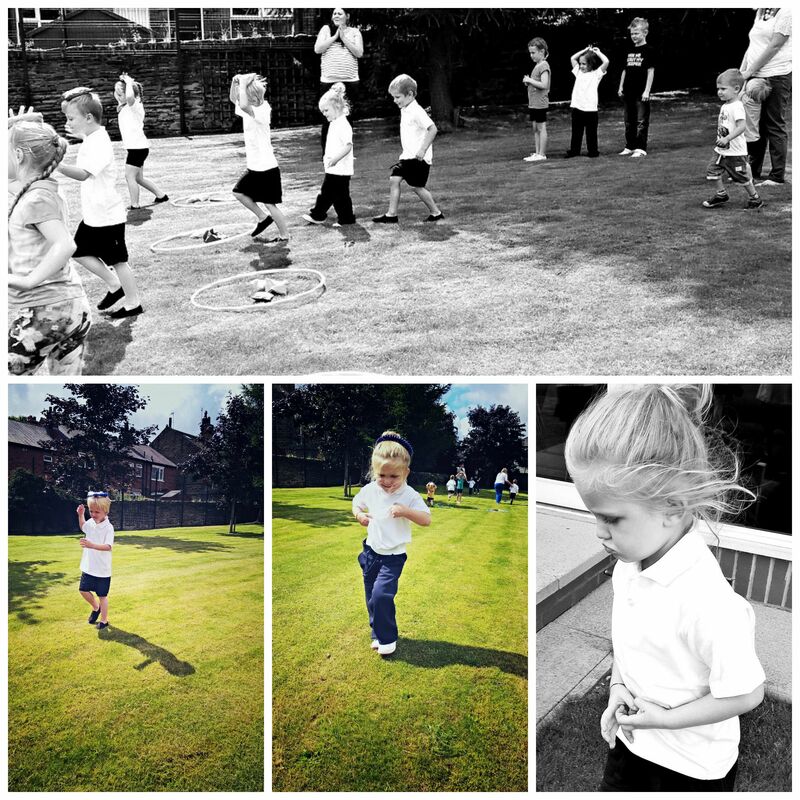 We Started with some balancing races (bean bags into hoops, followed by quoits and sprint finish). They didn’t quite get taking turns , or maybe I wasn’t great at explaining it all but either way it was hilarious to see them all just go for it when I shouted “go”! 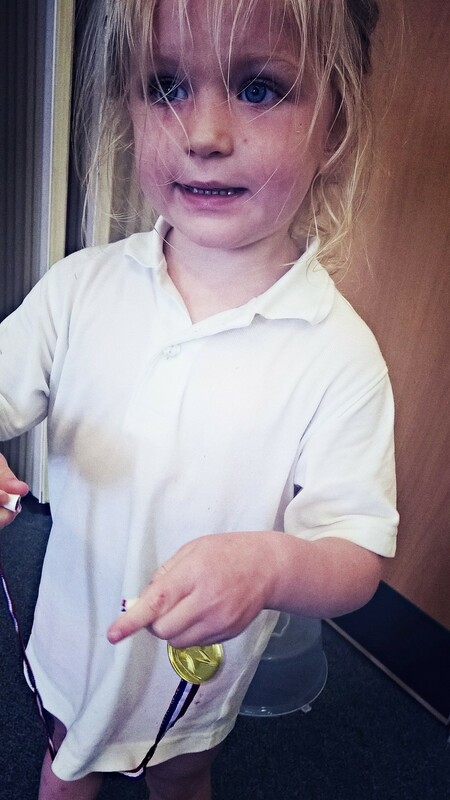 I especially loved Megs technique though of hooking the quoit onto her bun for balance, until she realised she wasn’t 1st and stomped off to sulk before finding her new boy bestie – it took a medal and freddo frog to get her back at the end and join in future antics with the kids. 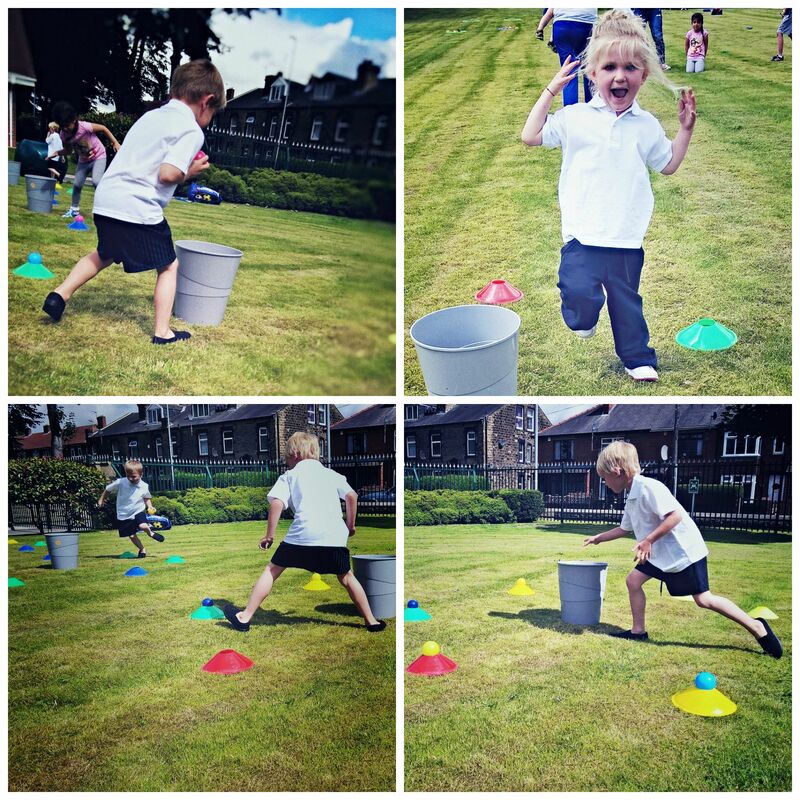 Next we had “around the world” where they grabbed balls from cones and chucked them in the bucket in the middle. Ethans technique was grab them all in one go an lob them in, as I said this is new to him haha! 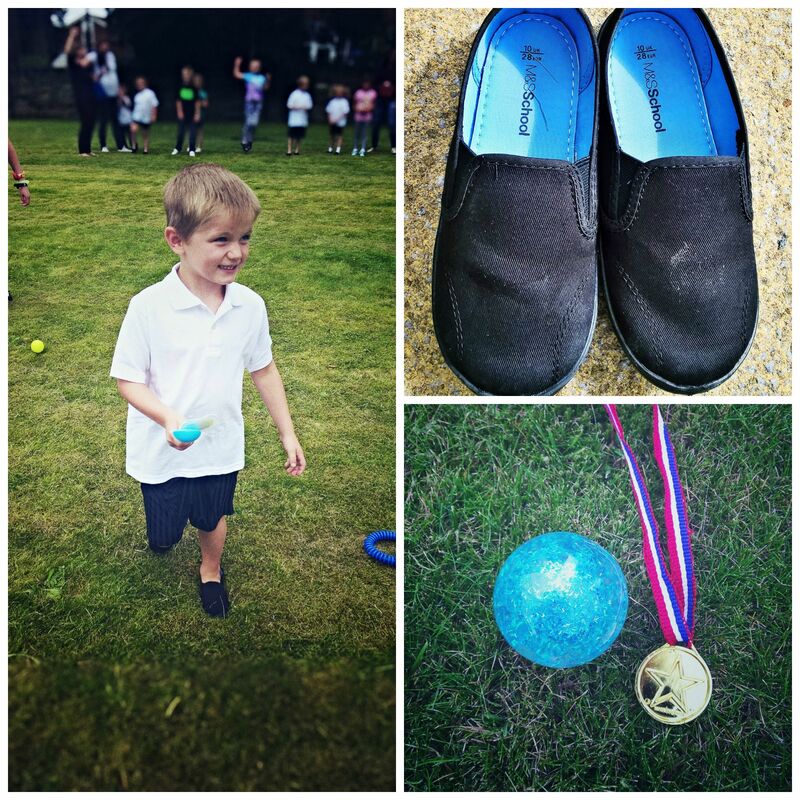 We ended with sack races and and an egg and spoon race before giving out medals and treats, and taking a break for lunch. 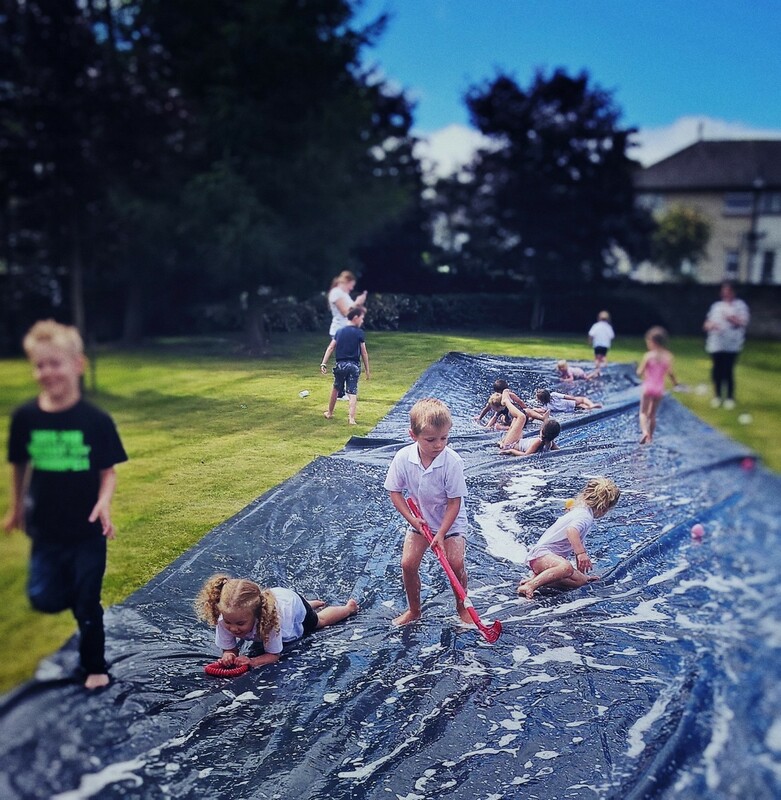 After lunch they all let loose on the water slide, again a new experience and smiles all round. The icing on the cake of a lovely day for them all. I have never heard so much glee from a bunch of kids. 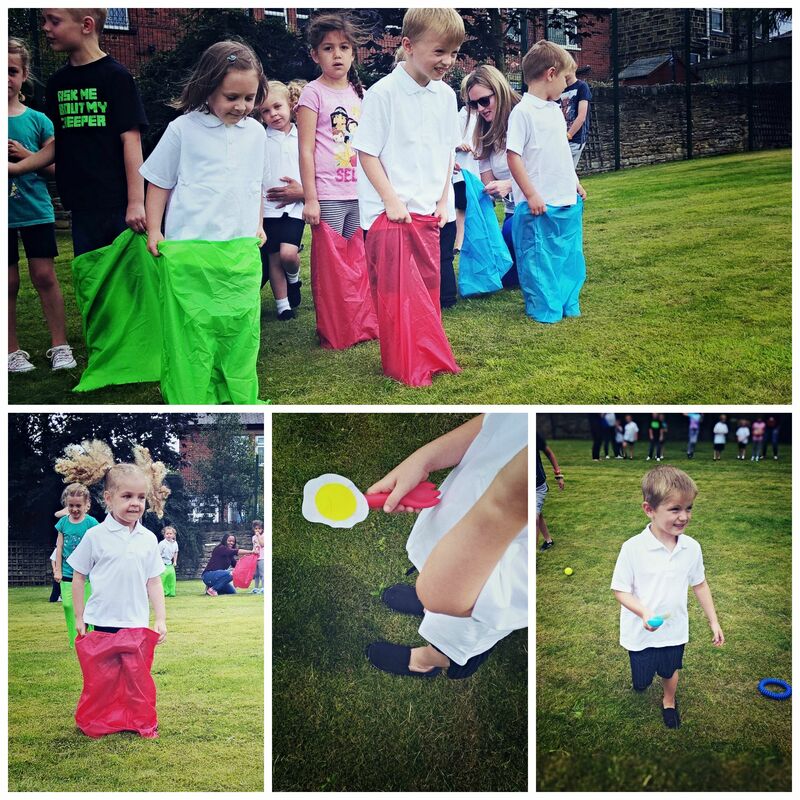 We were lucky that despite early rain and cloud the sun came out and we enjoyed a wonderful day with friends outdoors, being active and testing out our new PE kits ready for September and School (sob). The PE kit they are all wearing is from Marks and Spencer and whilst I am aware it costs slightly more than other retailers there is no questioning as to why – you can really feel the quality difference and thickness of fabric and maintains shape and fresh look, so I would say it is definitely worth it. The joggers were so lush and snugly. Shorts comfy, light and practical. T-shirts were perfect and a nice length and the plimsolls comfortable. Not one kid whined about any of it and adored wearing it, feeling amazing and all grown up. It was a warm day and no one moaned they felt sweaty or even looked grubby or warm, and even after rigorous testing on the water slide, and wiping hands from lunch down it I was sooo surprised that it still looked like new. Yes really it did – Stain resistant is no under statement! Megsie had age 3-4 joggers which were the perfect length, but being so slim she did loose them a couple of times (awkward), but other than that no other issues noted, in fact it was all fab. 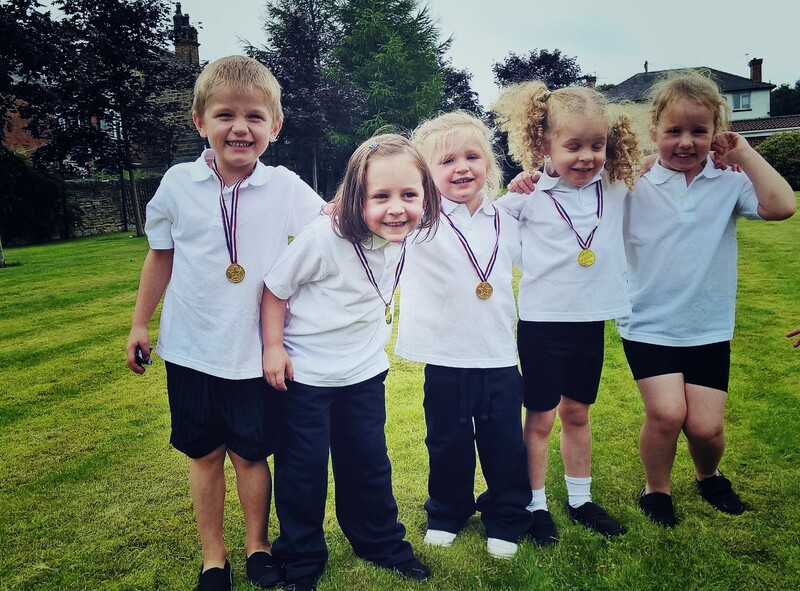 So why not get to the shops and get your kids PE kits and have a sports day…and remember, paying a little more is definitely worth it in this case as you can see! Disclaimer: All kit was gifted to us by M&S, but all thoughts, opinions, comments and pictures are my own. The kids had such a fantastic time Mary, thanks for organising it. And I have to say the pe kit has washed amazingly, its like new. Clearly you get what you pay for. Deffo worth the extra couple of pounds. What a fantastic day this must have been, sounds like the kids had a great time. And looking at the picture, I know they did.